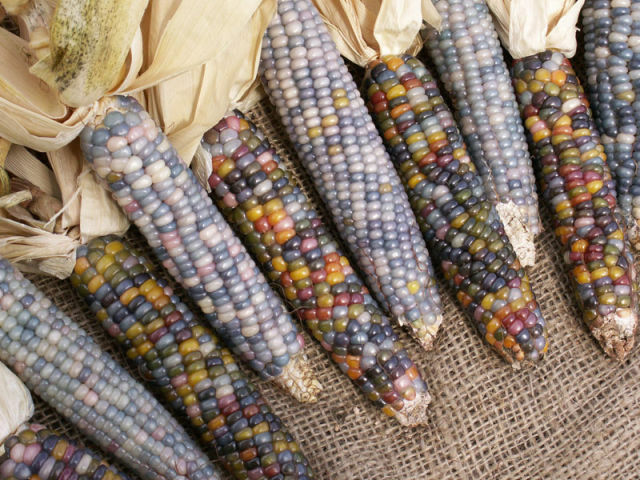 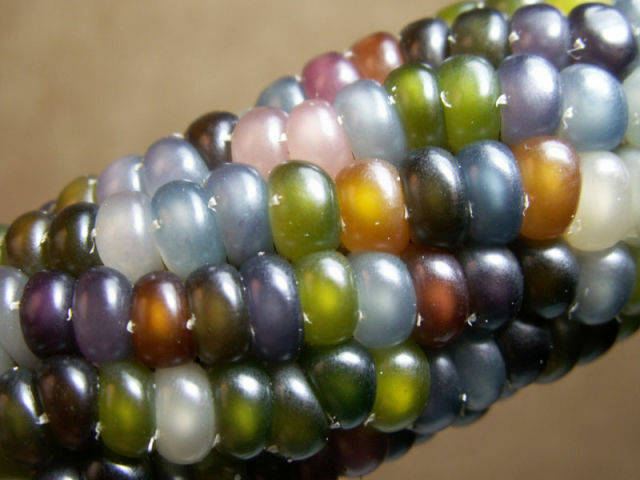 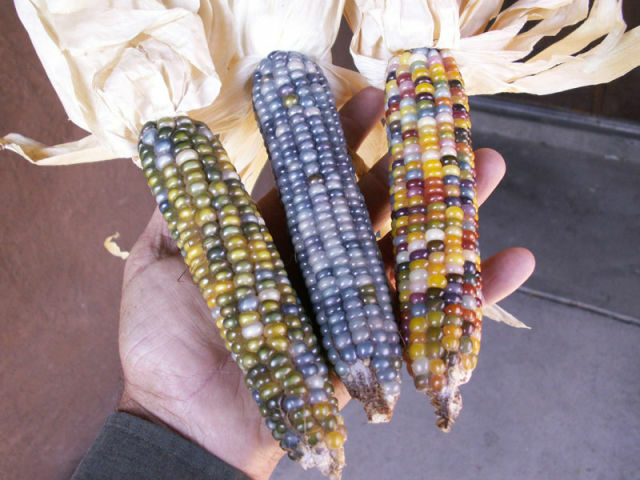 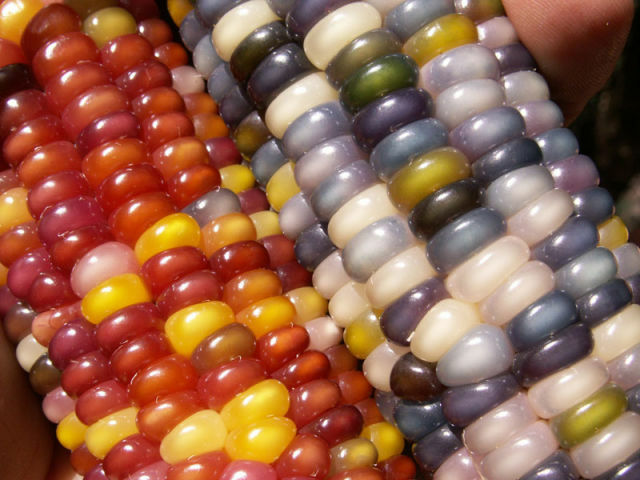 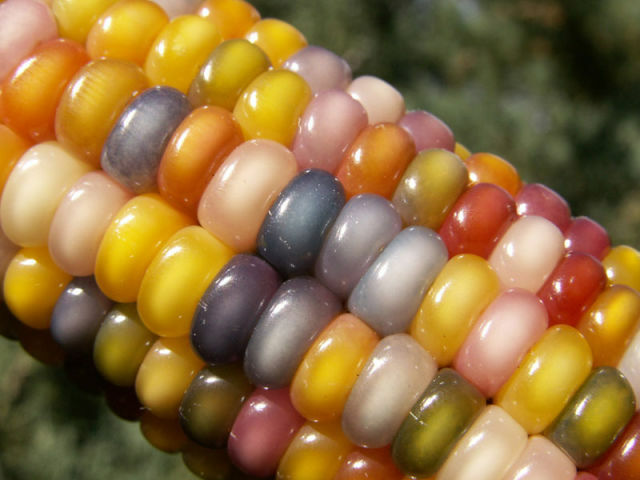 Multicolored Glass Gem corn is a unique strain of corn that grows in many colors. 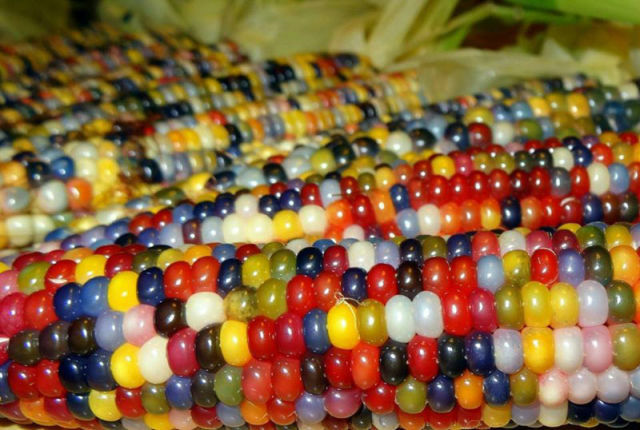 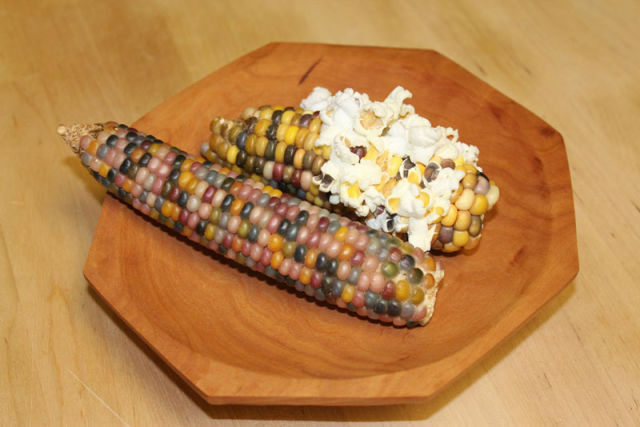 It began with a farmer named Carl Barnes who had a special skill for selecting and saving seeds from corn cobs that grew in different colors. 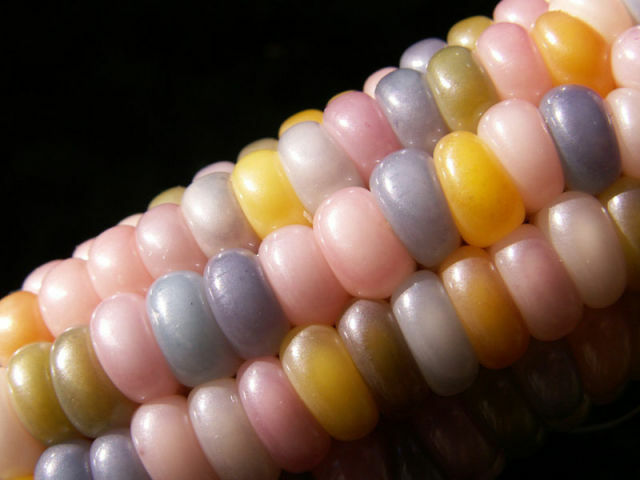 He devoted his life to merging these seeds together to create this unique crop. 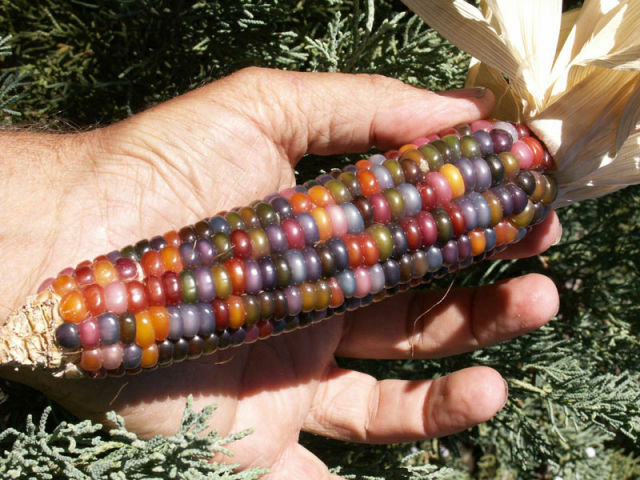 Before he died, he gave his seed collection to Greg Schoen to keep it alive who sold some seeds to a seed company, Seed Trust, in Arizona. 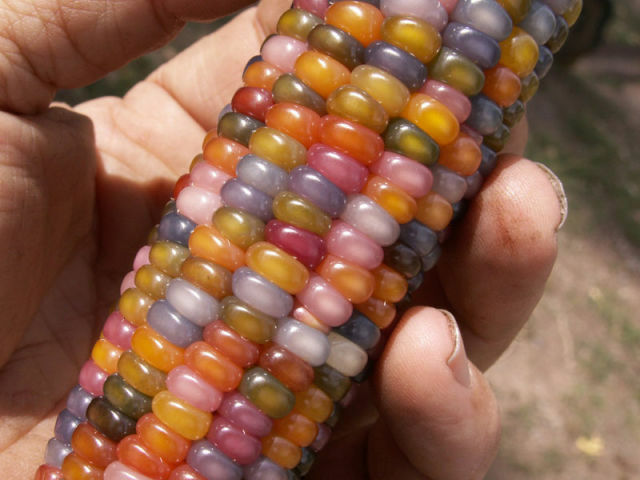 The company now sell it to the public and you can buy these amazing seeds for $7.95 per packet online. 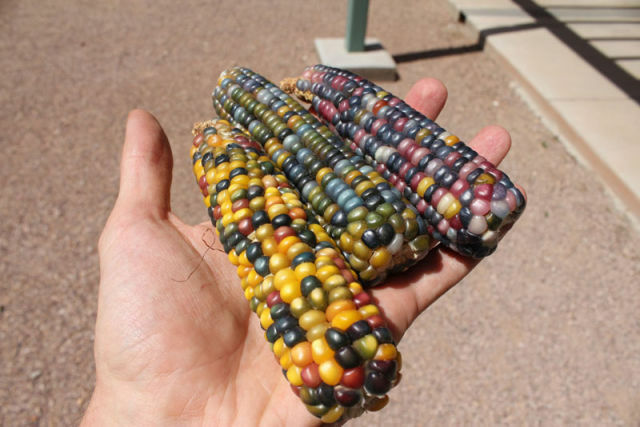 it looks like the Halloween kind I see that is not edible as normal corn more like for popcorn.